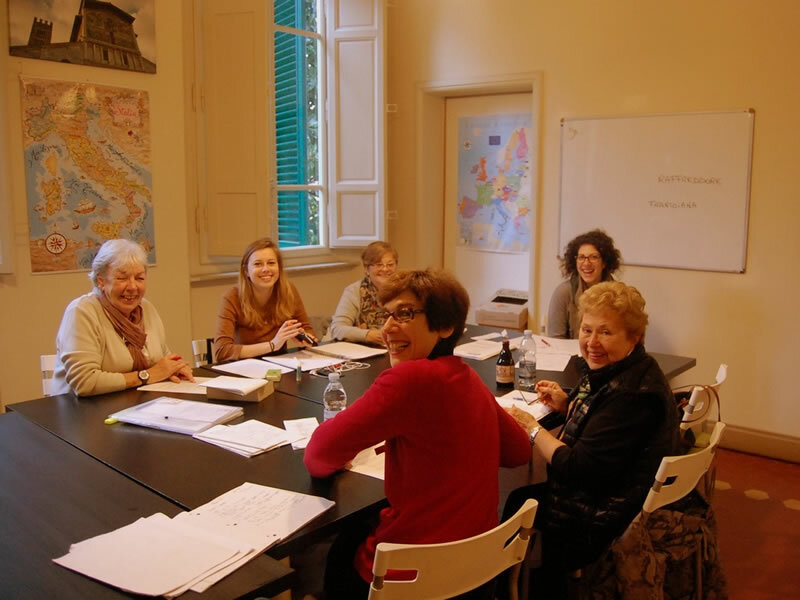 Our Italian language courses in Lucca aim to give participants the tools to interpret Italian life, using language as the key to decoding our society and our culture, in the broadest sense. Courses run year round. There are fixed dates only for beginners, whereas non-beginners can start on any Monday. The course duration is open and adjustable to the students' needs i.e. from one week to several months. Levels of instruction are 6, from A1 to C2, in accordance with the Common European Framework of Reference for Languages. 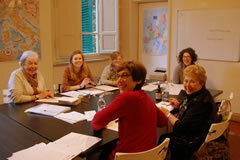 Courses of General Italian Language (max.10 people) – 4 lessons a day in small groups, from Monday to Friday. Mixed Courses – 4 Group lessons a day, and 1 or 2 One-on-One lessons from Monday to Friday. Practical Italian Course – 3 lessons a day outside the classroom (getting around the town to practice Italian in a real context – shops, markets, restaurants). One week from Monday to Friday. Individual or small groups. Italian and Cooking – from a single lesson to the whole week program Speak and Cook Italian, suitable for single participants and small groups. Customized lessons on request. 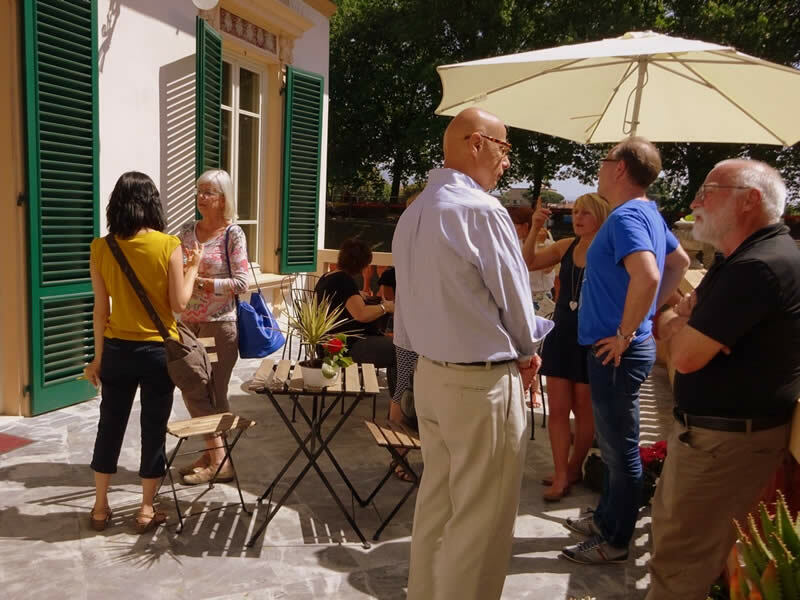 Italian and Walking – a course in Italian language combined with walking tours in the nature, history and traditions: Speak and Walk Italian is the perfect program to practise Italian in the open air. Suitable for single participants and small groups. An Italian course aimed at combining the interest for the language with the passion for photography, searching for impressions of the city, its people and the Tuscan landscape to depict through your lens, and at the end of the course bring your own pictures home. 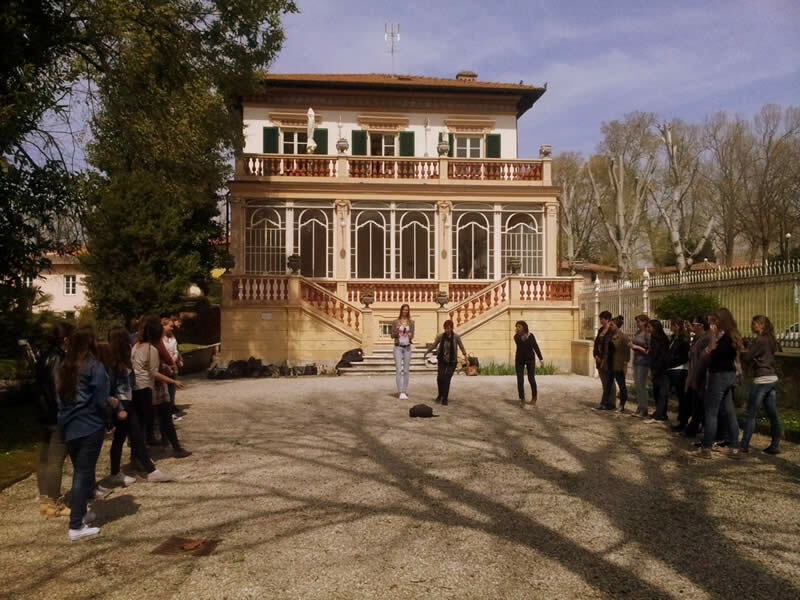 An Italian course for people interested in the Opera and in Puccini, including music sessions and excursions to the places where Giacomo Puccini lived and composed. A course for those who want to practise Italian in an original way, through a combination of language class in the morning with afternoon activities to learn or improve their drawing technique. Italian language and Art – a course in Italian language combined with activities related to various aspects of our great artistic heritage, Italian and Art will rouse your interests with its several field trips and the use of our language. Italian language and cinema – course in Italian language with afternoon activities related to the Italian neorealistic cultural movement, Italian and Cinema will provide a historical overview of the post II world war period through viewing some of the most famous movies by the greatest Italian filmmakers. A package of language for beginners and language and culture for non-beginners, an ideal proposal for tourists on a short stay. Italian and the Olive Oil – Speak and know the Olive Oil, a course in November at the time of the olive harvest and oil pressing, with activities of information and tasting. Preparation Courses – for CILS, CELI and PLIDA examinations. Courses for Children – learning Italian with recreational activities specifically catered for children. 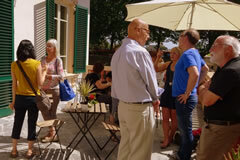 Family Courses or Small Groups (Pre-organised) at your place. "Super Intensive" Italian Course – One-on-One, 8 lessons a day (including lunch with your teacher), with activities in and out of the school according to your wishes – shopping, excursions, visits to museums. Business Italian – for people working in Italy or with Italians.